Now more than ever, the expression “roasting in the sun” will be a little bit more than figurative. Although, technically, that’s not right either since KFC doesn’t roast its chicken. 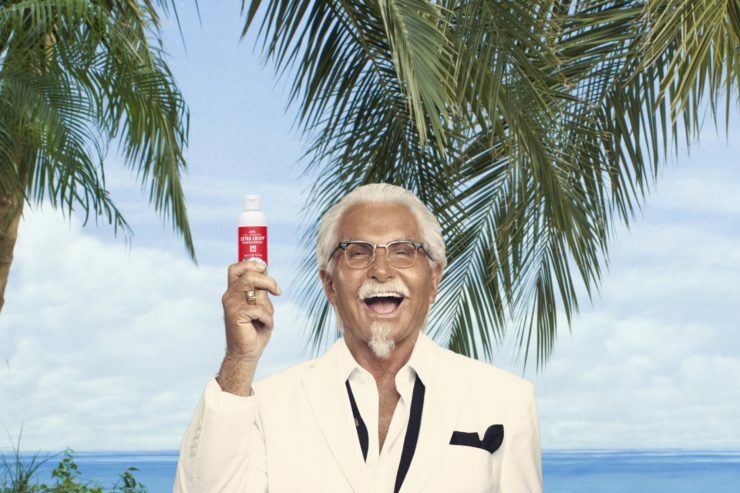 No, we suppose that if you’re one of the lucky few who managed to snag a bottle of KFC Extra Crispy Sunscreen, you’ll be able to tell your friends you’re “frying in the sun” instead. 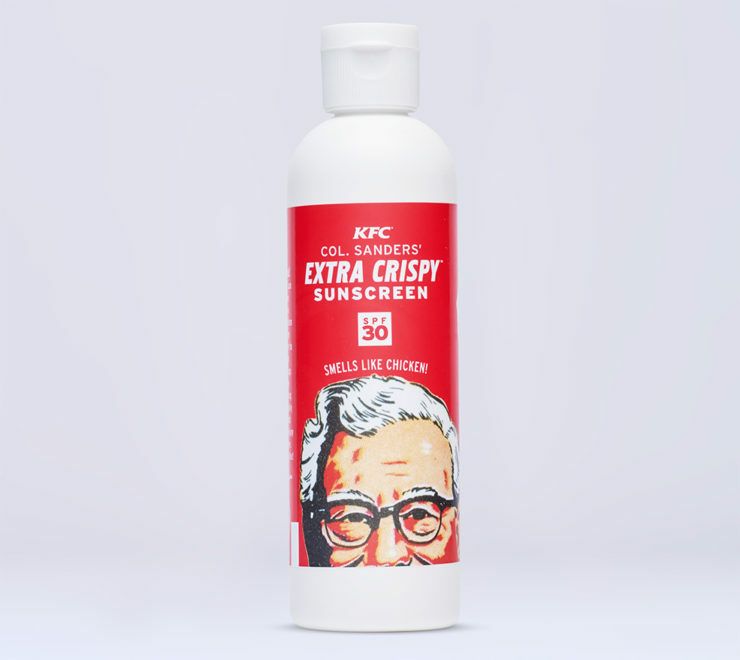 Yes, they’re all sold out now, sadly, but for a while anyone who visited ExtraCrispySunscreen.com would be given a free bottle of SPF 30 sunscreen that smells just like KFC’s delicious staple item. The smell is described by one pretentious people.com writer as “absolutely revolting”, which we take to mean “arm-bitingly delicious”. Yes, we’re sad they’re all gone, and we’re kinda hoping anyone who managed to snag one will put them up on eBay. 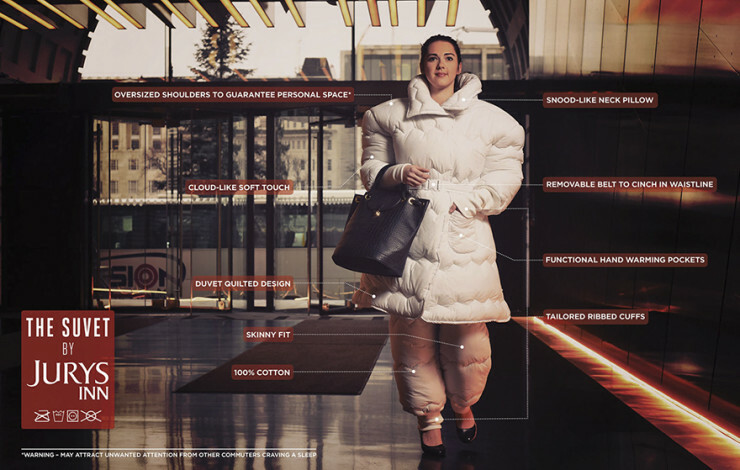 Do you value not looking stupid? Then please ignore anything about the NodPod. If you’ve got thicker skin than an elephant though, you stand a chance at being able to sleep comfortably just about anywhere. 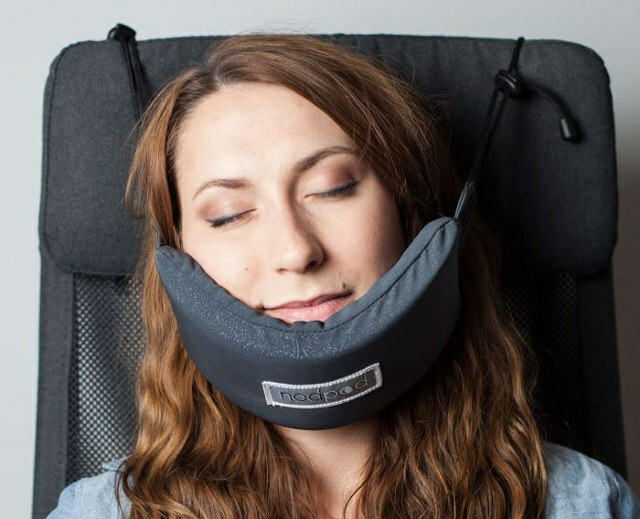 The NodPod is like a hammock for your face, attaching to a headrest and providing your chin with a soft resting place. 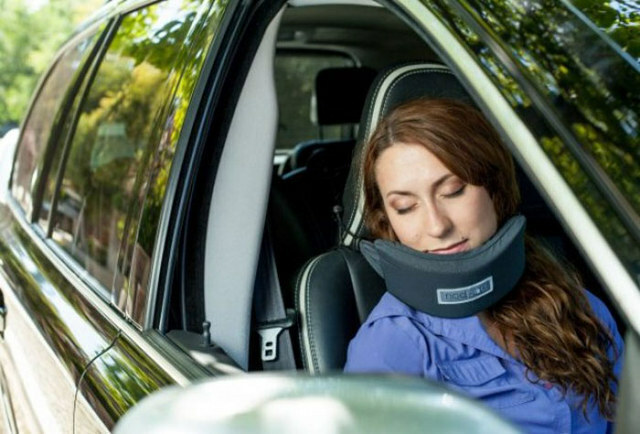 It keeps your head upright, preventing it from dropping forward as you nod off. 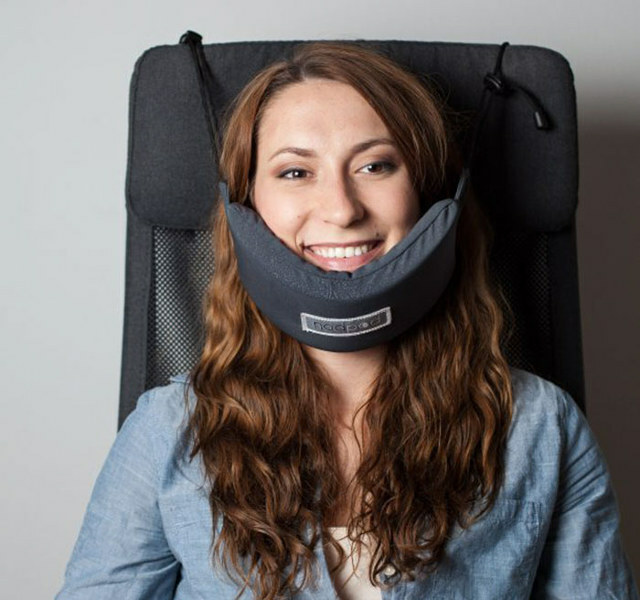 It’s a more natural angle for your neck, and might even work better than a lot of the popular travel pillows you can pick up at the airport’s overpriced shops. Plus, the cord is designed so it doesn’t cover the screen of the person behind you, should you care about such things. 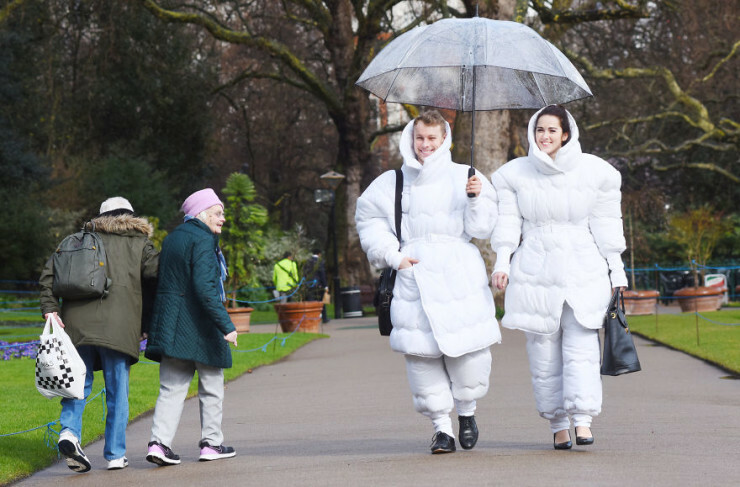 Other features include a velcro pocket within which to keep the cords, and a water repellant PU coated fabric to make it easy to clean for the droolers among you. 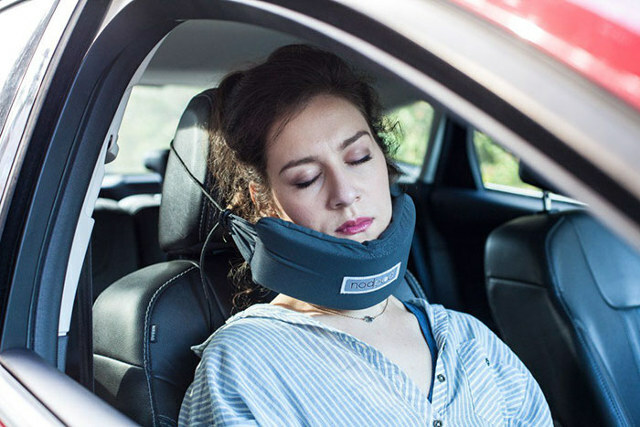 There’s even a safety breakaway feature that detaches the cord if there’s a sudden pressure or impact, preventing you from getting strangled in case of an accident. 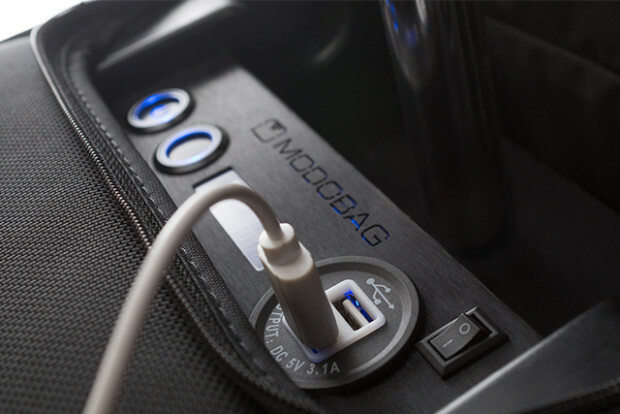 It’s a brilliant little travel companion, and at $32 is priced just right. 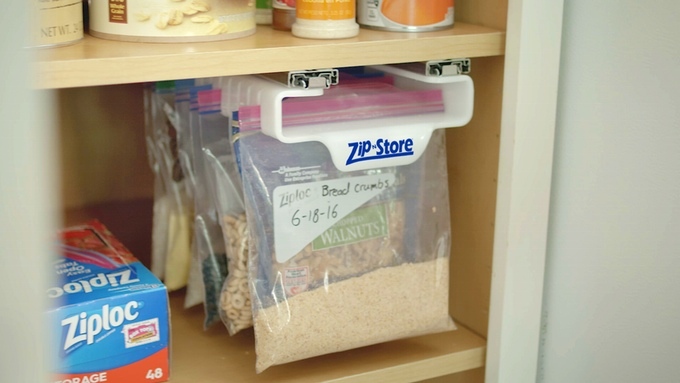 If you live in an apartment with limited space, products like the Zip N Store should interest you. 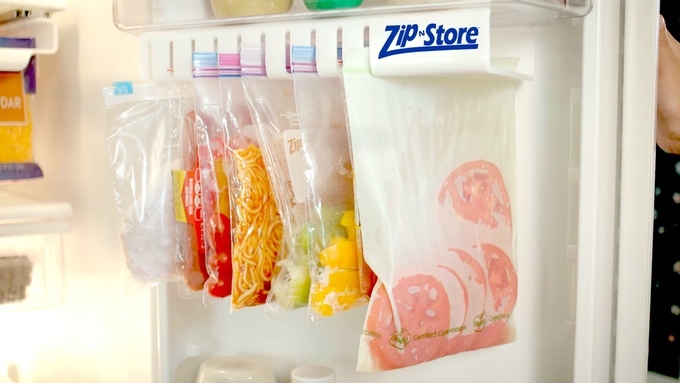 It’s a system designed to hold ziplock bags, involving a slide-out drawer that installs in your fridge; you just hang up to 12 bags off it and easily reach for them whenever you need anything. 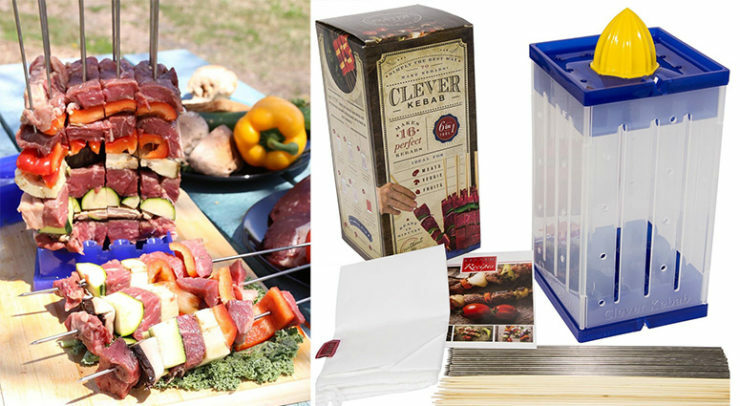 It’ll accept bags of just about any capacity, and not only of the Ziplock brand variety. Pledges start at $30, with shipping estimated around December of this year. 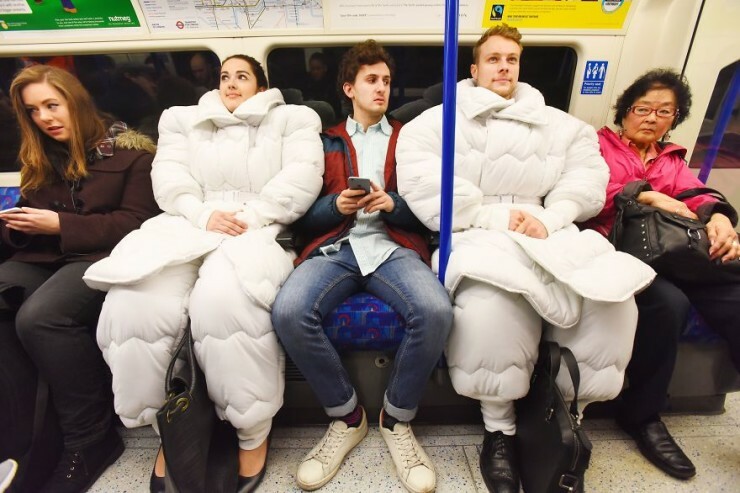 You might’ve seen videos of this thing going viral online. 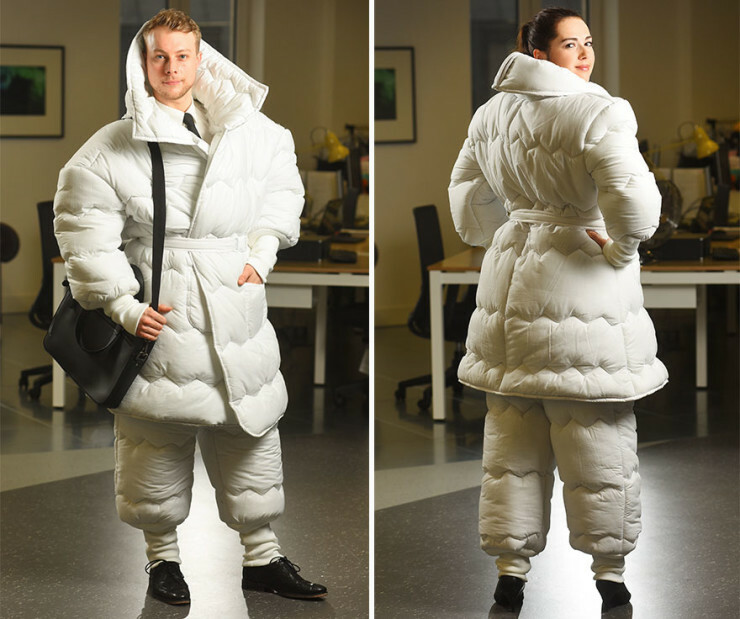 For good reason too, since the Modobag looks like a good bit of fun. 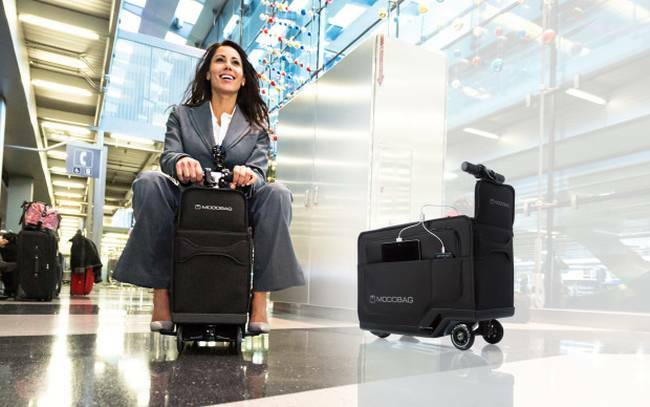 It’s a motorized, electric, carry-on suitcase that you can ride like a scooter, and that will take you around an airport terminal at up to 8 mph, for up to 6 miles. 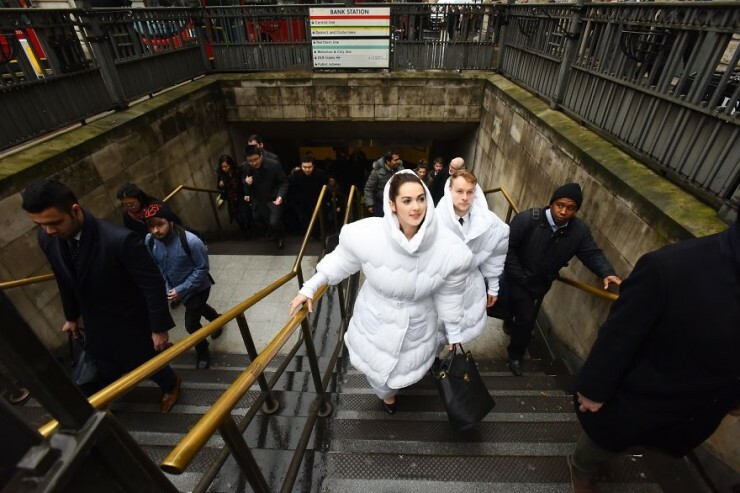 That should be more than enough to make it from one concourse to another and catch that connection with ease. 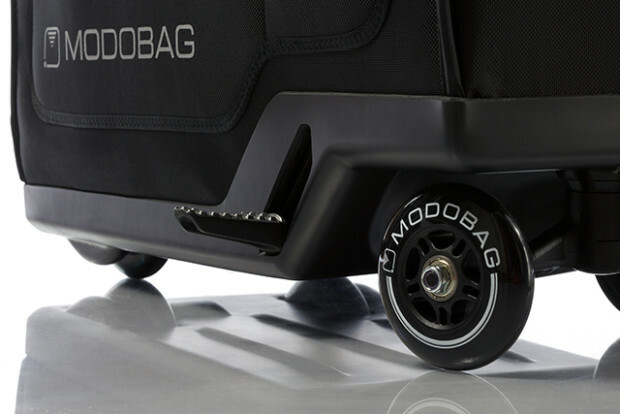 The Modobag can carry riders weighing up to 260 lbs, and the lithium battery can charge up to 80% in only 15 minutes. Once you reach your gate, you can then use the integrated USB ports to charge your devices while you wait for your flight. 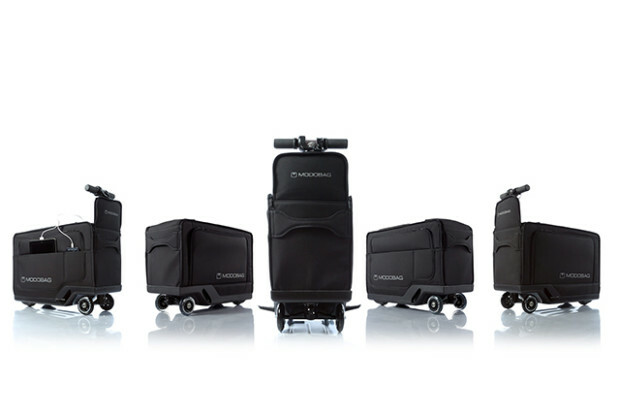 Granted there are some drawbacks, like the fact that the bag alone weighs 19 lbs, and of course can carry a little less stuff to make room for the battery and electronics while still qualifying as a carry-on. But you still get 2,000 cubic inches, which should be enough. And of course, the price tag. 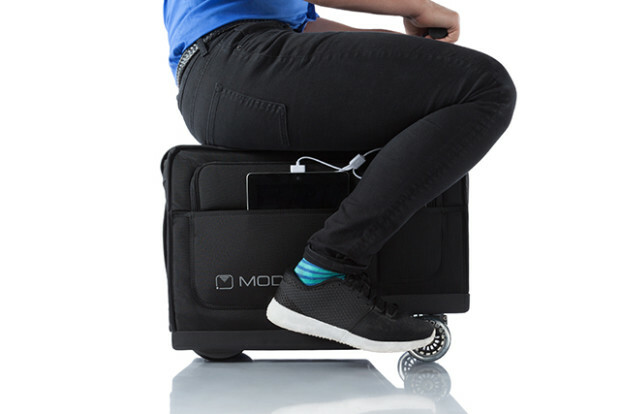 Super Early Bird pricing will have you part with $995 to get your own Modobag, a price that then goes up to $1,199, so act fast if you just fell in love. 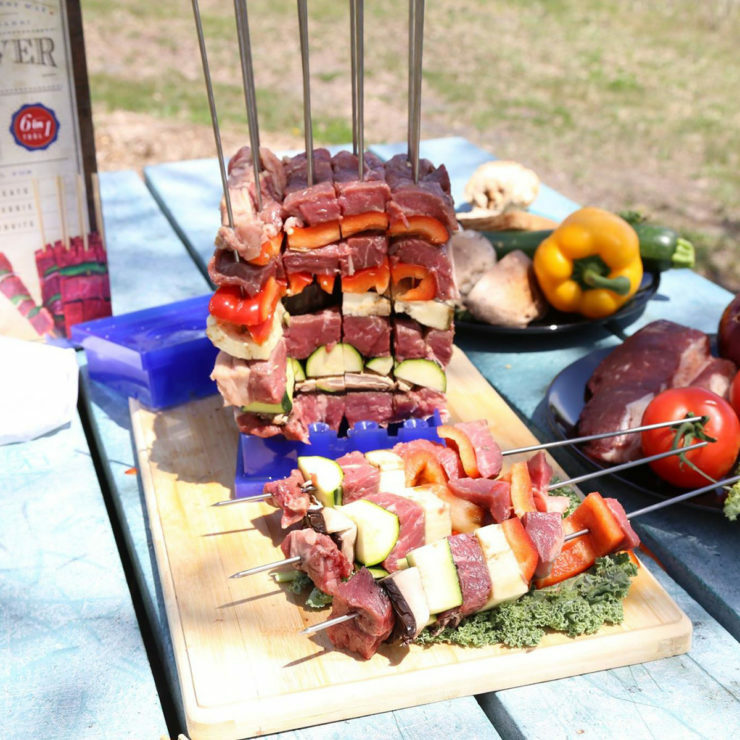 There are few things more satisfying than barbecued meat on a stick. 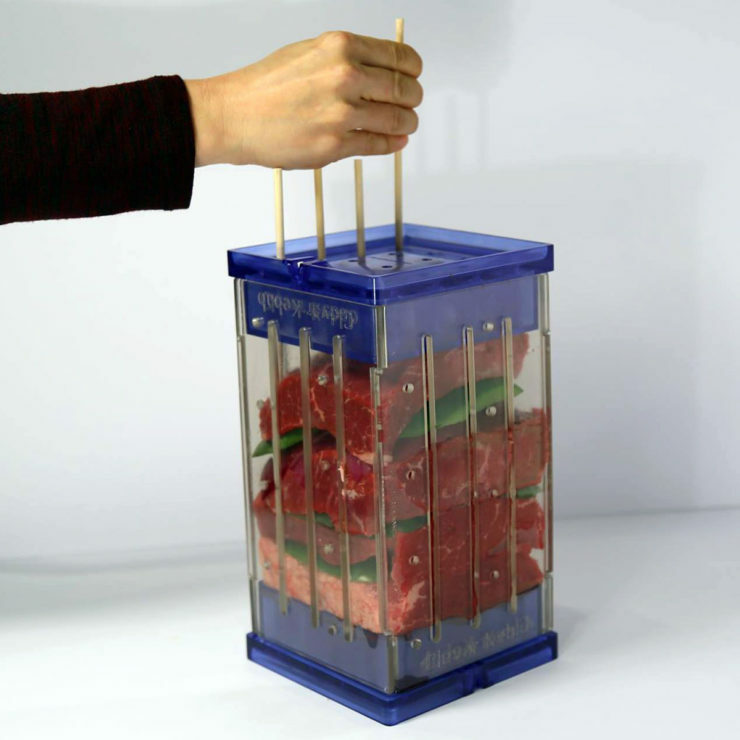 But what would be the point of living in civilized society if we didn’t invent some kind of tool for making the process of getting the meat on the skewers easier? 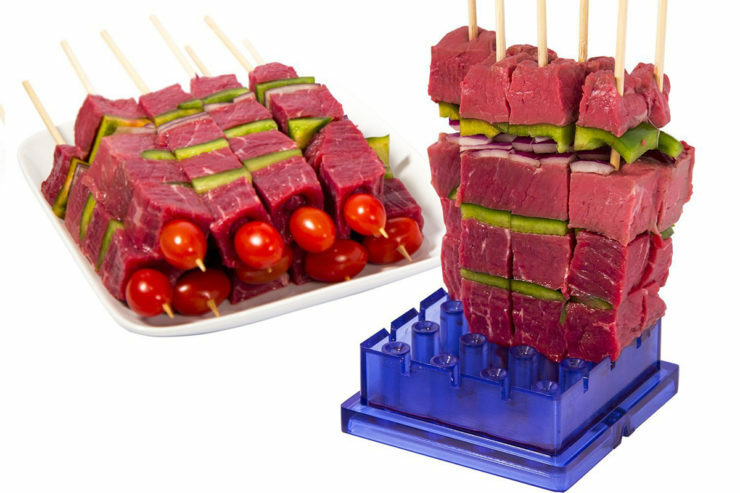 The Clever Kebab Maker makes it super simple to just layer your meats and veggies inside, stick the skewers right through the openings, and cuts your protein into perfect 1.2″ cubes. 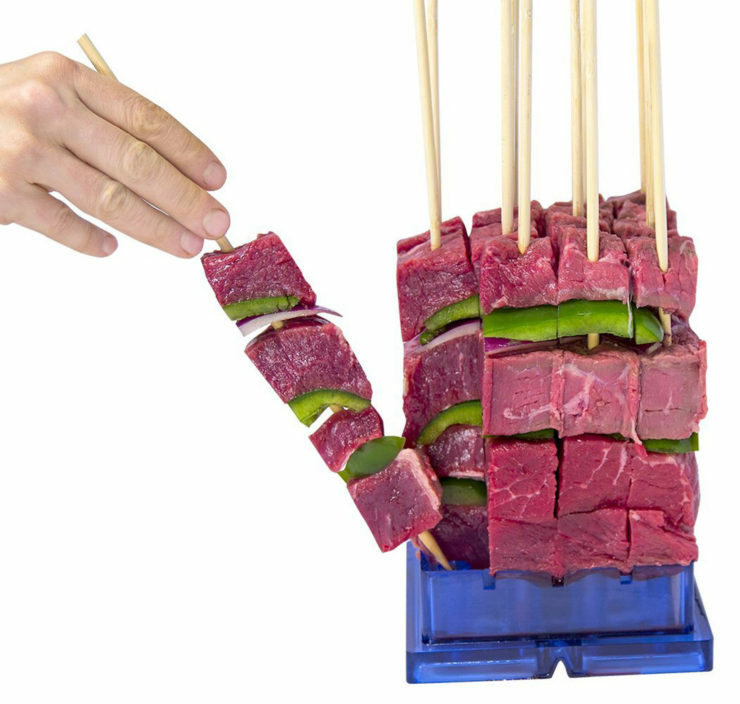 You can easily make 16 kebabs at once, and it doesn’t have to be meat only; the device will work with cakes, fruit, or pretty much anything you’d wanna eat off a stick. It’s all of $35. 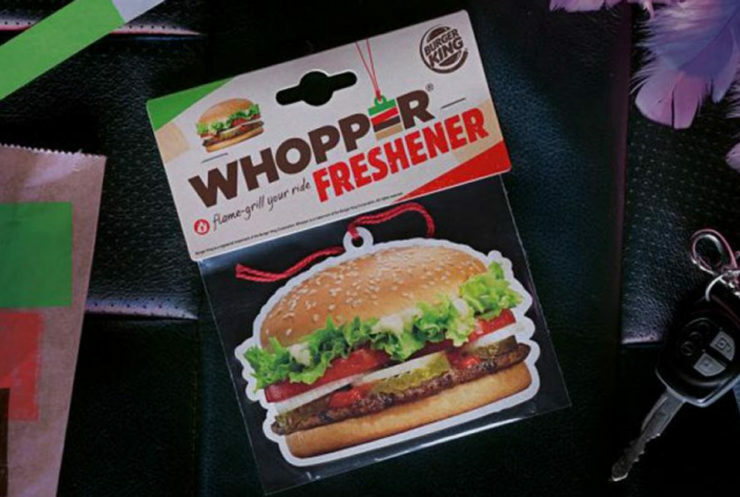 Think of the Whopper Air Freshener as the ‘reverse freshener’. When most people buy these things to get the fast food smell out of the car, Burger King Brazil would like to help you do the opposite; this freshener smells just like the burger that inspired it. 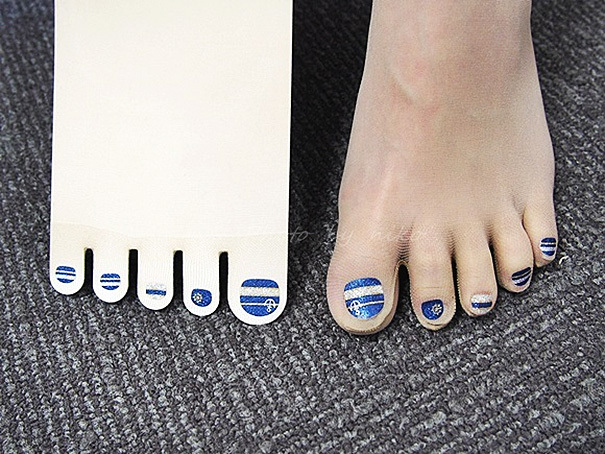 As crazy as it may sound, we’re convinced there’s a market for this. Considering things like Bacon Lube exist, it’s not much of a stretch of the imagination to conceive of hungry gluttons wanting their car to smell like one of the best tasting burgers on the market (yes, we said it). 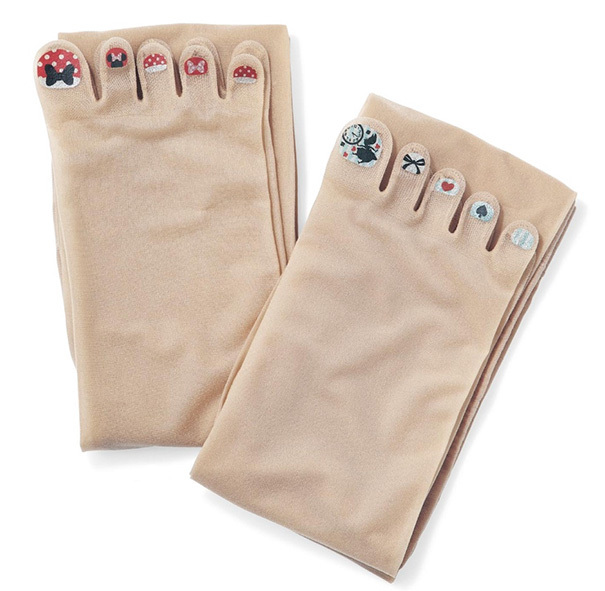 Much as it would be great to buy this for yourself (or get it free, right? I mean, it’s not like someone would pay for this…), it appears to have been part of a publicity campaign where taxi drivers would hang it on their mirrors and pick up drunk clubgoers. 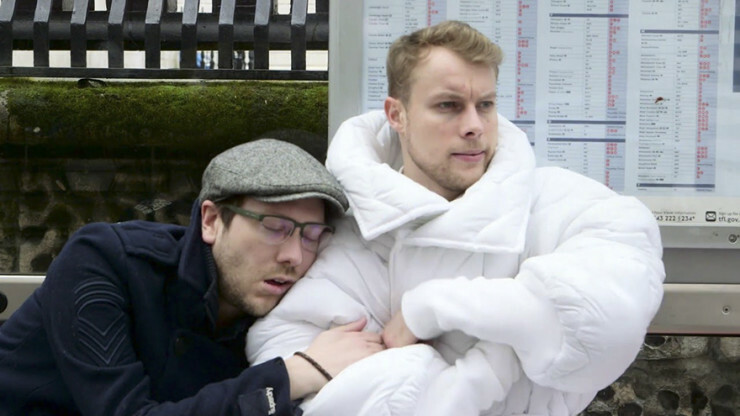 The smell would of course overwhelm their already uninhibited senses and cause them to re-route their trip to the closest Burger King. Genius. It seems that it was National Donut Day last Friday, and to celebrate this, The Cinnamon Snail in New York City created the above. 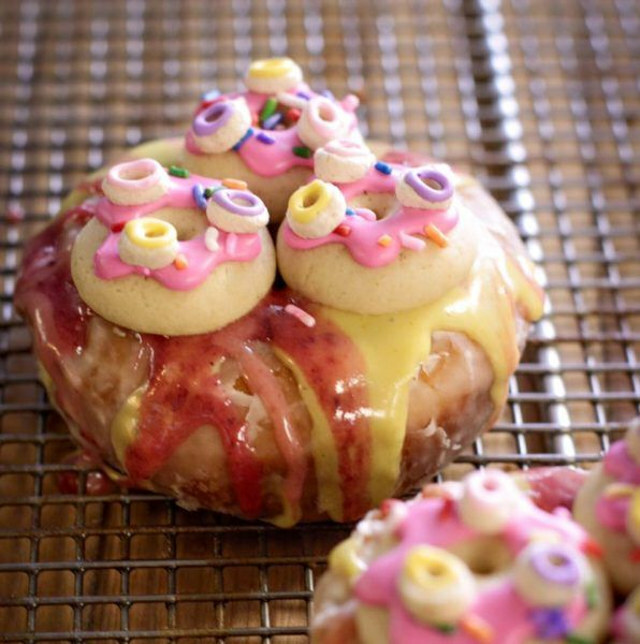 It’s a donut that uses donut-shaped cookies as decoration, cookies which in turn are decorated with Cheerio’s like rings that are meant to look like donuts themselves. It’s a donut party three levels deep, a party so intense the bakery felt it appropriate to charge $7 for its consumption. For reference, that’s about seven times more than anyone should feel entitled to charge for a ring of sugary dough, but what do we know. Are they still selling it? Did anyone even buy it? Seeing as we like to report news a few days late, we’ll never really know. Their slogan is “Finger Lickin’ Good”, so it sort of makes sense, doesn’t it? 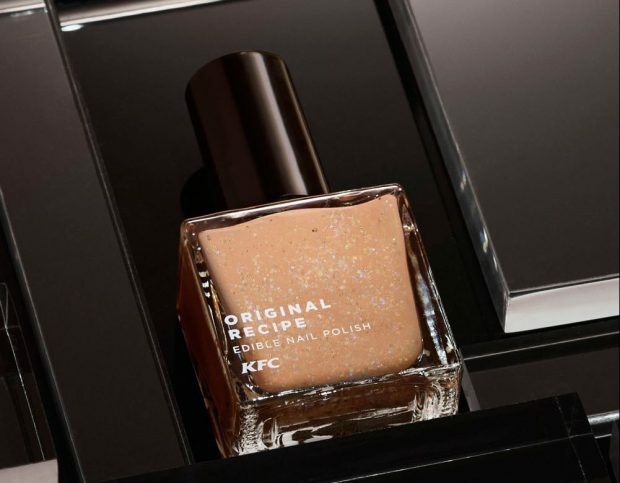 See, as part of a promotional effort in Hong Kong, the local KFC office has apparently created nail polish that looks just like regular nail color, but happens to taste of delicious fried chicken. That way, well, you can spend your days looking entirely normal with your fingers in your mouth. 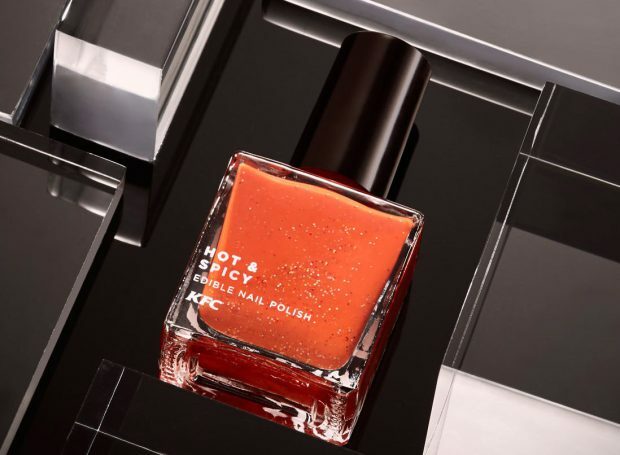 They come in two flavours: Hot & Spicy, and Original Recipe. They were conceived and developed by McCormick, the spice company behind KFC’s secret spice and herb mix, and are allegedly completely safe to consume. 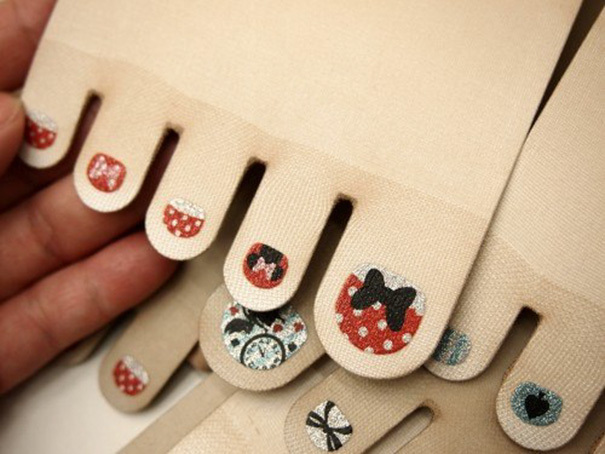 The polishes are not being mass produced yet; the company is showing early prototypes off in promotional pics and asking fans to vote on which flavour they’d actually like to see being made. Whether it does ever make it into the wild, let alone stateside, is anyone’s guess. Keurig is probably having a fit at its brand name being used this way, but perhaps they should be happy that they’re now so closely associated with pod-based single-serve appliances. 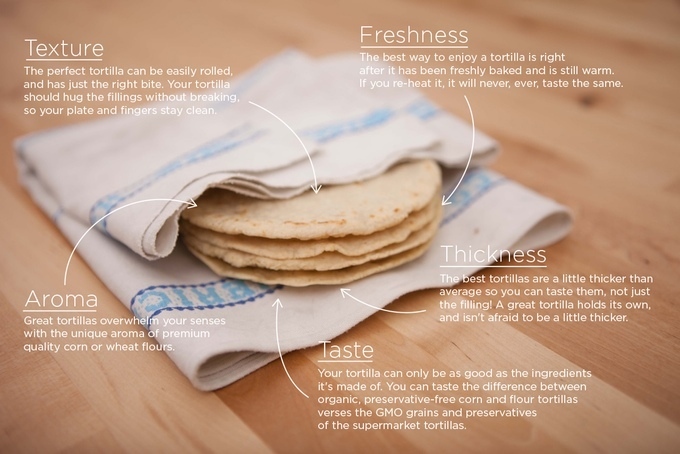 In this case however you won’t be brewing yourself a steaming mug of Joe, but a crispy tortilla instead. 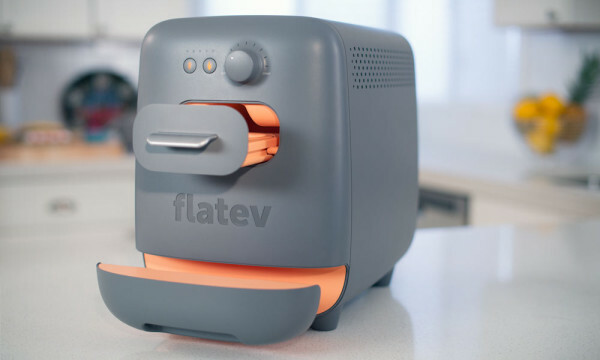 The Flatev uses pods, much like the Keurig, only these ones are filled with all the ingredients necessary to make a tasty, fresh tortilla at home. 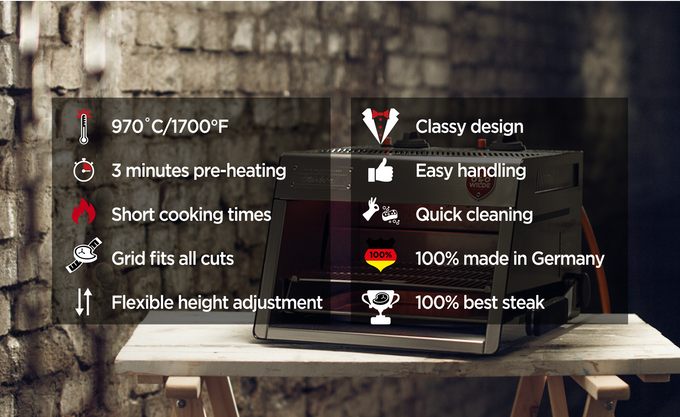 Pick your dough, and your crispiness level, press a button, and sit back as the machine does the rest. 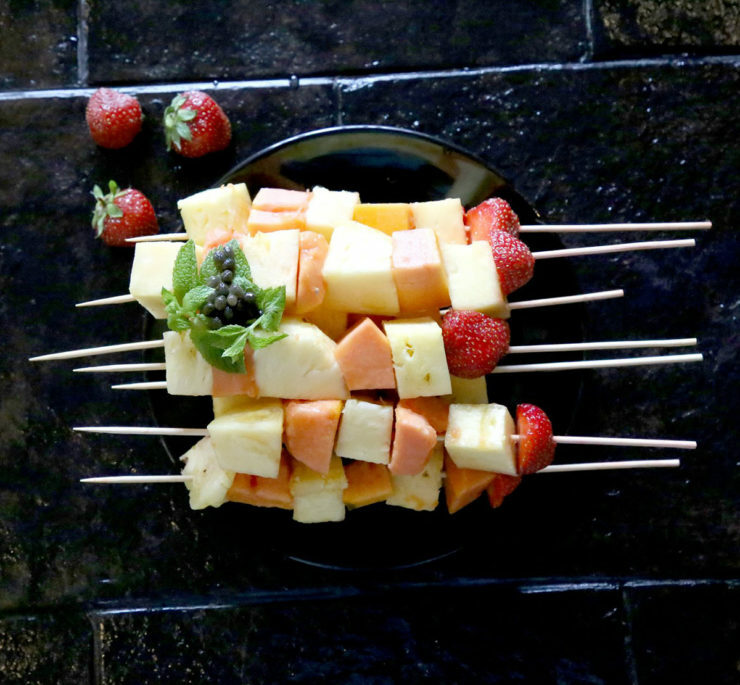 To get your own, you’ll have to pledge at least $239, but you get a batch of 48 pods to start with. 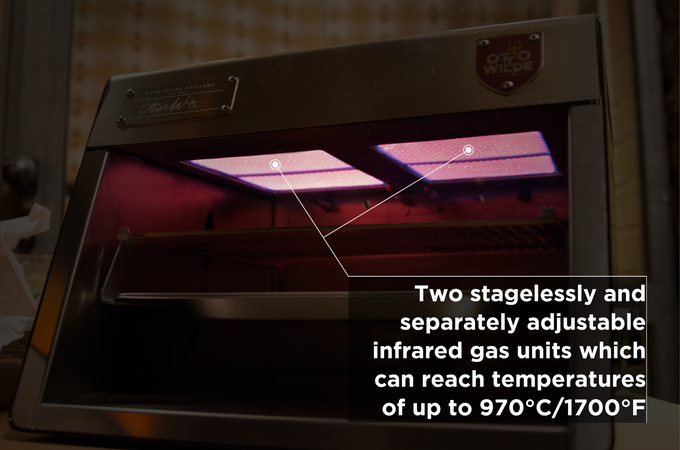 We don’t know how much each pod will set you back but it’s not like this is meant to be the most cost-efficient cooking method. 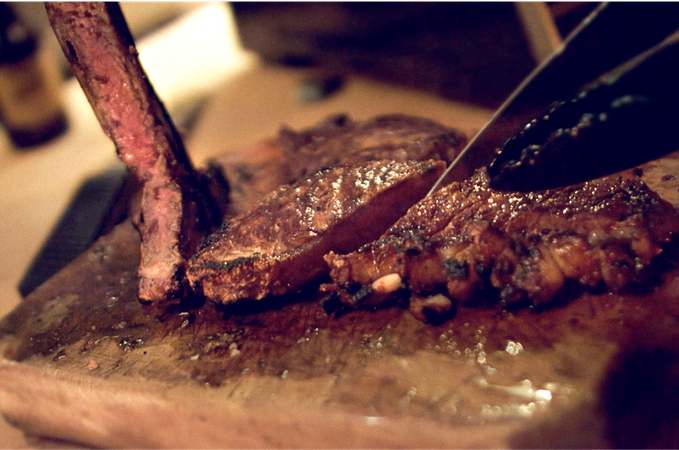 Did you know that a lot of fancy steak houses cook their meats by broiling them? 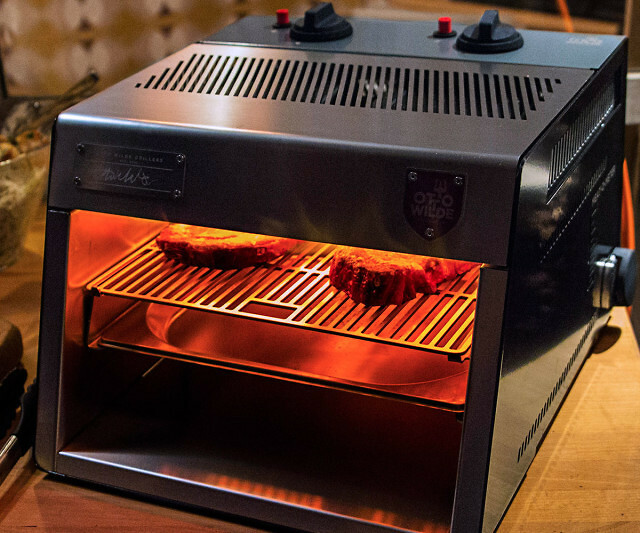 Yeah, it’s not just by dropping a good cut on a hot grill that you can cook up a steak; given the right temperatures, infrared radiation will get there faster, and possibly better. 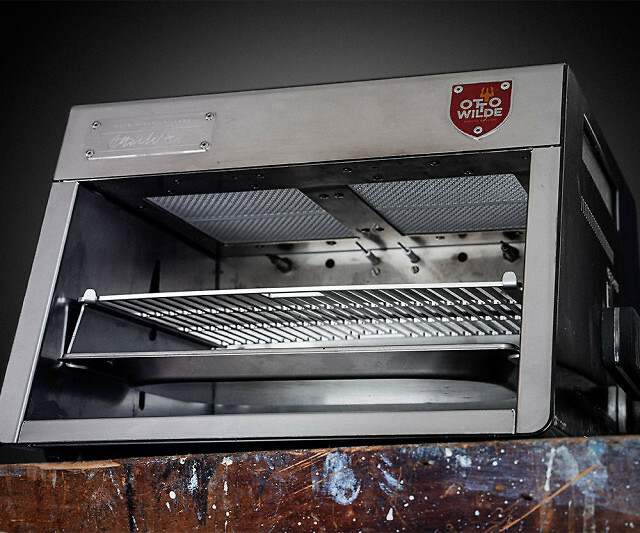 Otto’s Over-Fired Broiler uses two separately adjustable infrared gas units that reach their 970?C/1700?F operating temperature within 3 minutes. 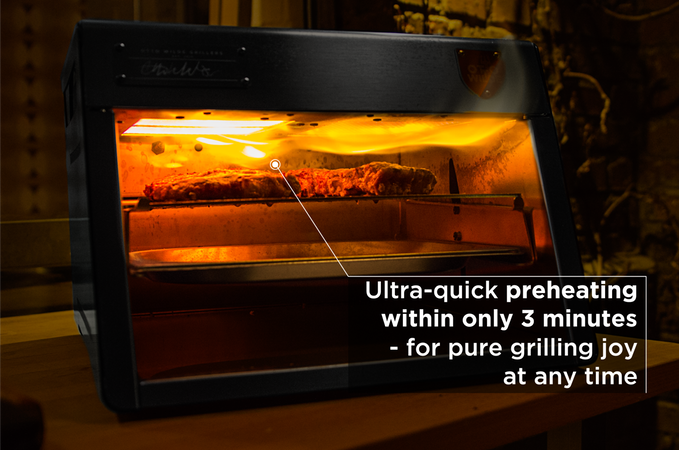 You then just have to place your steaks inside and broil them one minute per side to create a delicious crust that locks the juices in, while the interior remains moist and tender. 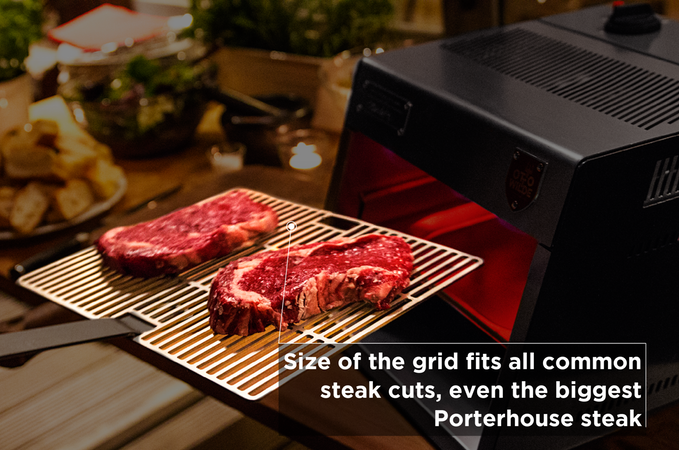 The size of the grid accommodates even the largest slabs, ensuring even Texas-sized portions get cooked to perfection. It’ll cost you €590 or about $665USD to own, and if you live stateside, you’ll have to wait until October 2016 to get it. You’re dying to travel, but maybe the thought of going somewhere you don’t speak the language intimidates you? Well, you should get yourself the IconSpeak T-Shirt. The front of the shirt is covered in a grid containing 40 different icons for a wide variety of things you might need while on your travels. 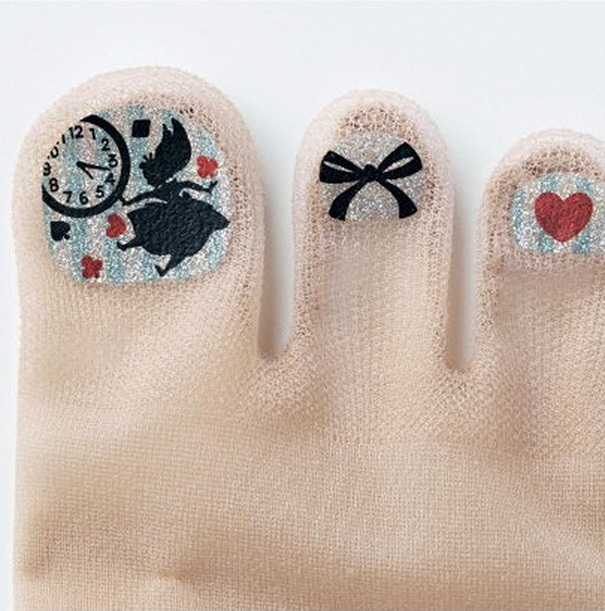 If you want someone to understand you, simply point to them. Want some place to sleep? There’s an icon for that. Need the police? Well… you get the idea. 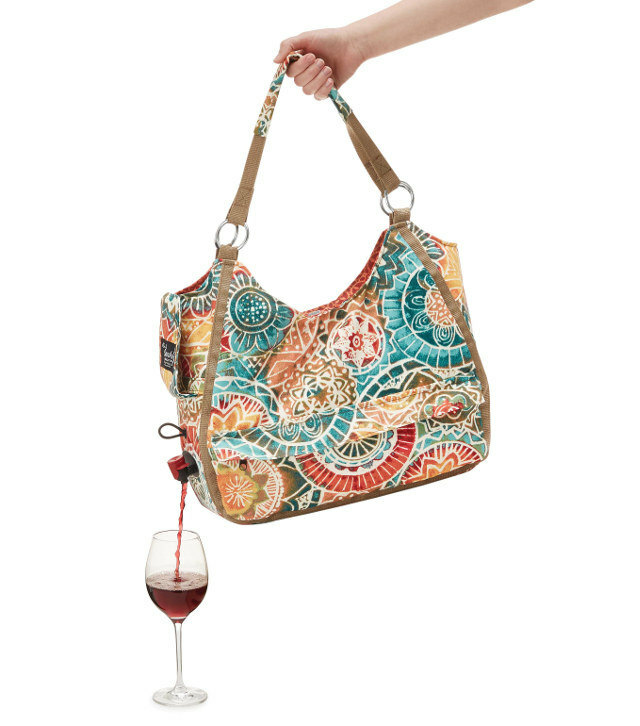 It’s $33, and comes in a few different styles and several sizes. Ever stick your tongue on a battery to see if it’s still got juice? Yeah, we all do. 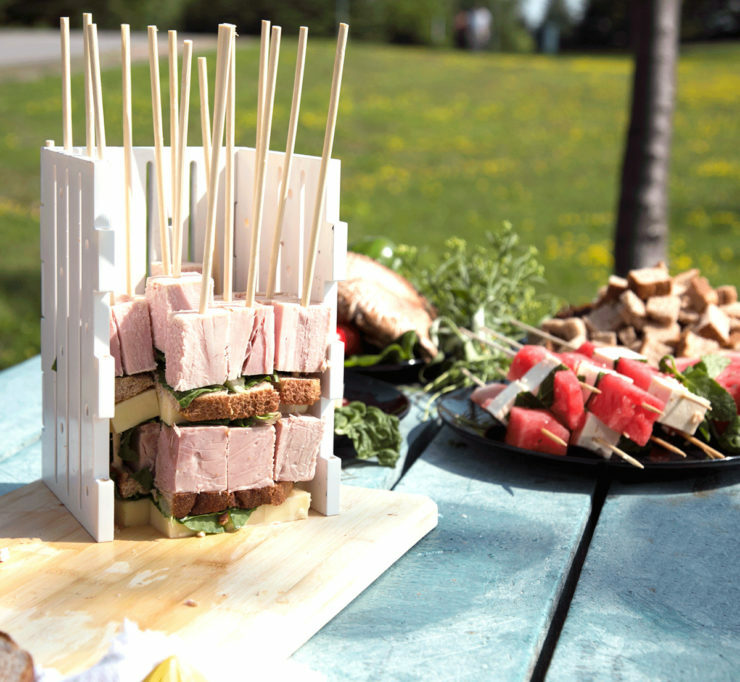 So you probably know that the tiny electric current it generates sort of tastes salty. 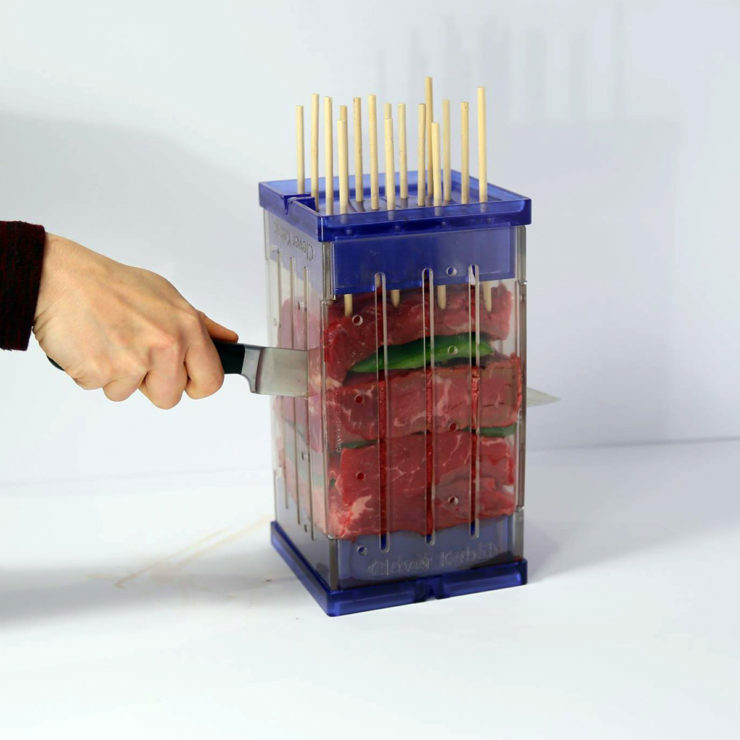 Well, the Electric Flavouring Fork pictured above uses that principle to simulate the effects of salt, for those who are on low sodium diets. 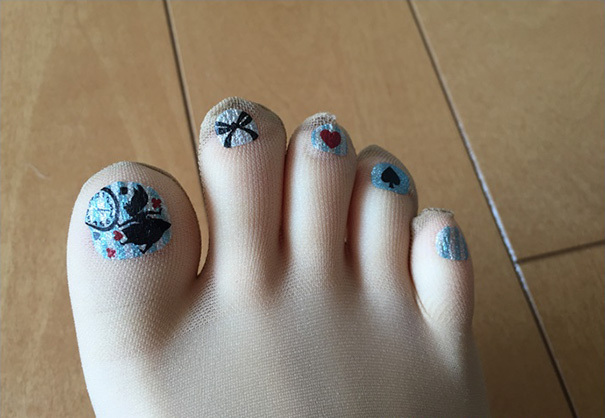 It’s being developed by Hiromi Nakamura at Rekimoto Lab, Interfaculty Initiative in Information Studies, at the University of Tokyo. 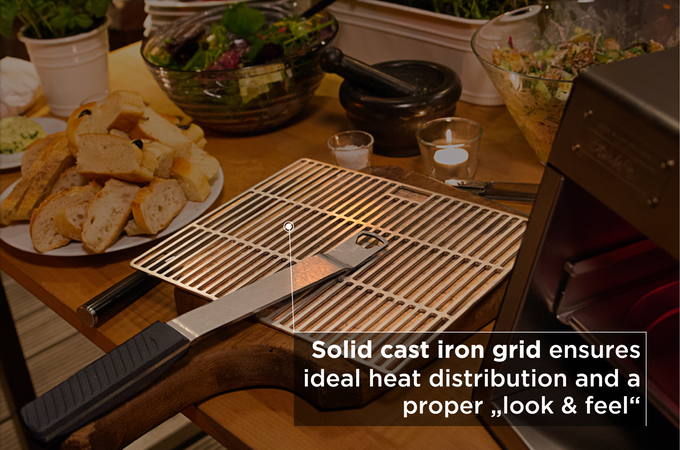 The handle of the fork incorporates a rechargeable battery and electric circuit. 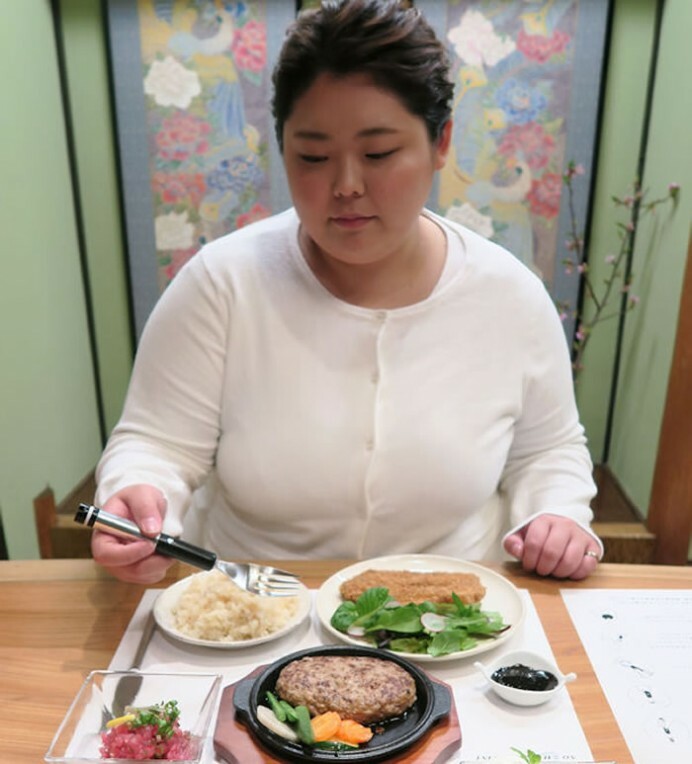 When the user inserts the head of the fork into the mouth with food while pressing a button on the handle, a certain level of electric current is applied to the tongue. The degree of saltiness differs depending on eating habits, age, etc. This time, three current levels were available. 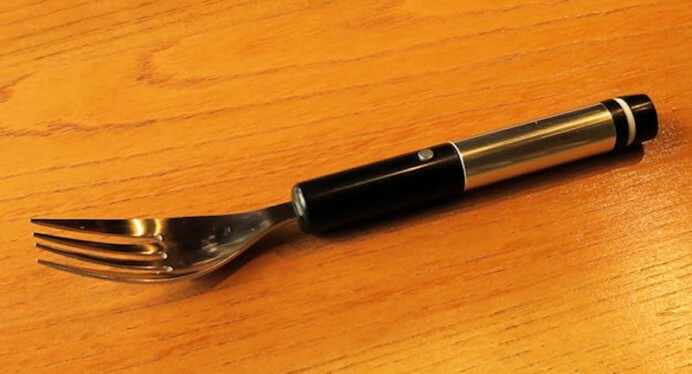 The prototype costed ¥2,000 (approx US$17.7) in addition to the cost of a fork. 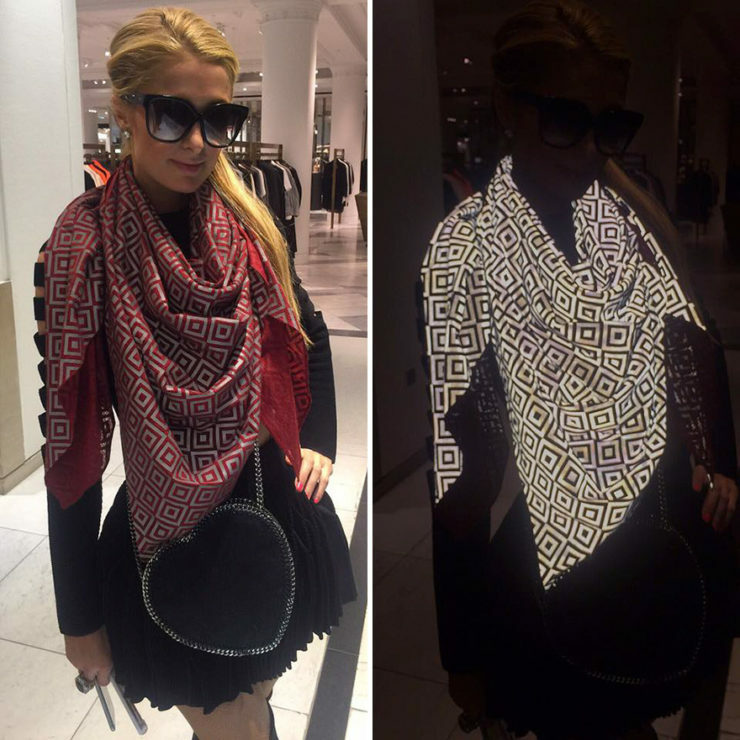 So clearly this is not a product you can buy just yet, but it’s interesting to see it’s something being worked on. You’ll have to forgive us for not getting too excited though; we won’t rest until someone invents a fork that makes broccoli taste like fries. There’s a lot of chatter these days about robotization, automation, and the impact it’s going to have on our lives. The reality is, it already has a huge impact, and it’s going to grow. 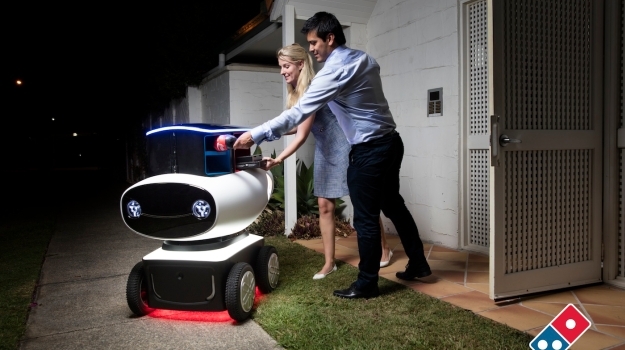 Dominos Australia is testing the DRU, Domino’s Robotic Unit. 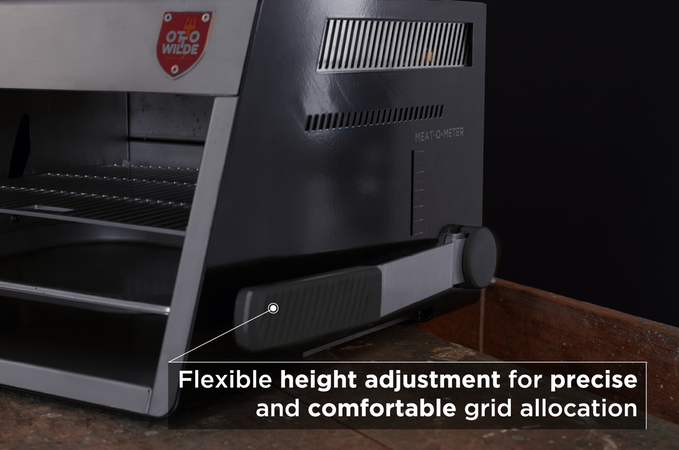 It’s an automated delivery bot that can roam the streets all by itself, and bring you your order with no human intervention. 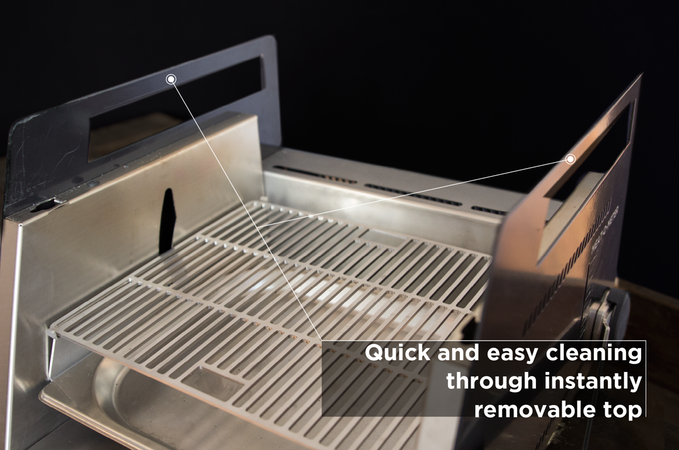 To avoid hungry hoodlums stealing your food in transit, the compartment can only be unlocked with a smartphone app or a special code you’re given when you place your order. The company already tested the bot with a few customers in one neighbourhood, and everything went well. 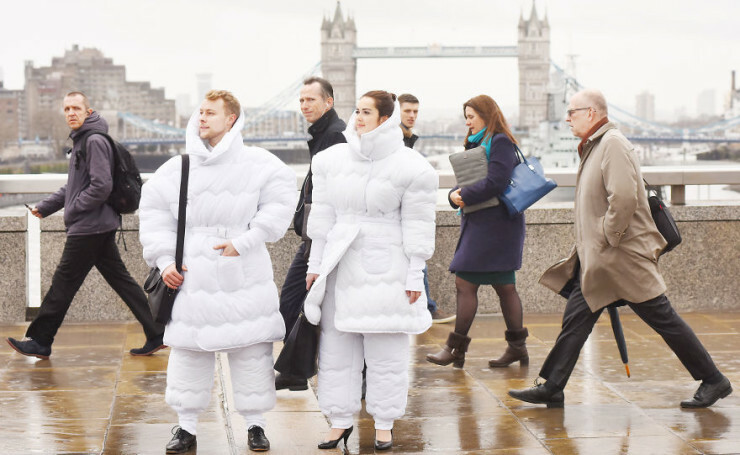 Don’t expect to see this at your door tomorrow though, since there are a host of regulatory requirements to meet before a fleet can be expanded beyond the prototype shown above. Still, it’s just a matter of time. Spicy food fiends will look for every opportunity to crank the heat level up. 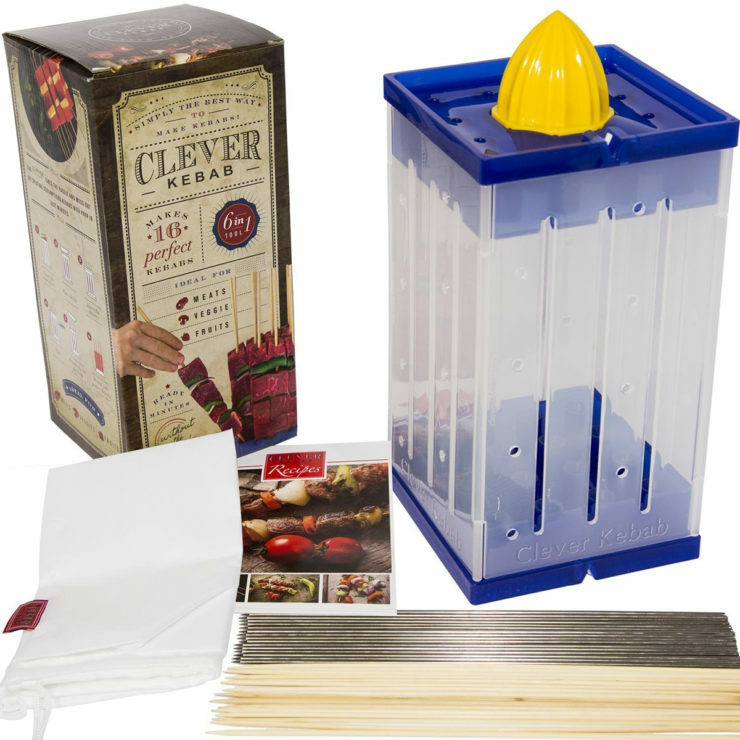 These guys will be stoked to find out about Pyro Pop Popcorn, which are cooked in chili-infused peanut oil. 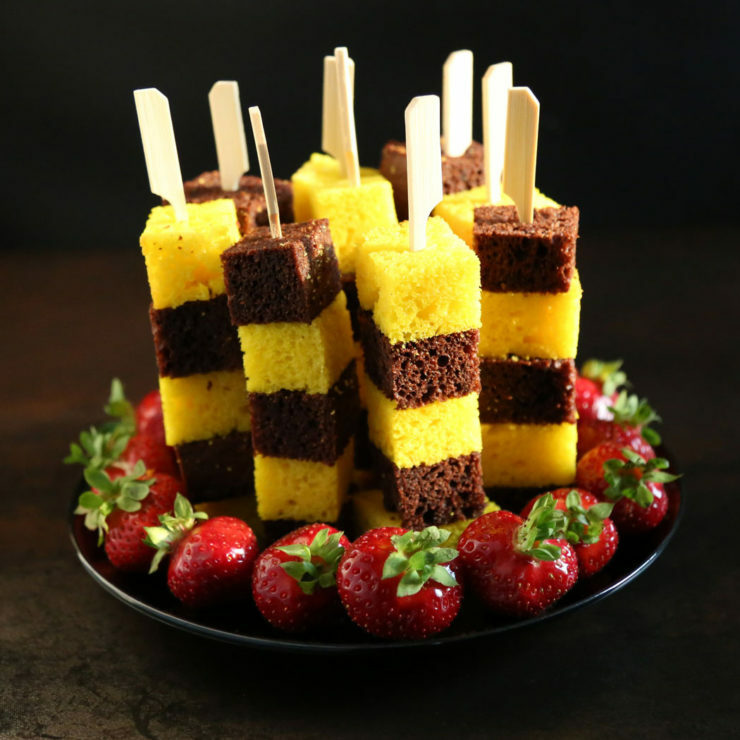 This way the heat isn’t just sprinkled on top, but baked right in. And we’re not talking just a little spicy; they mildest version they have cranks the power up to 100,000–350,000 on the Scoville Scale. 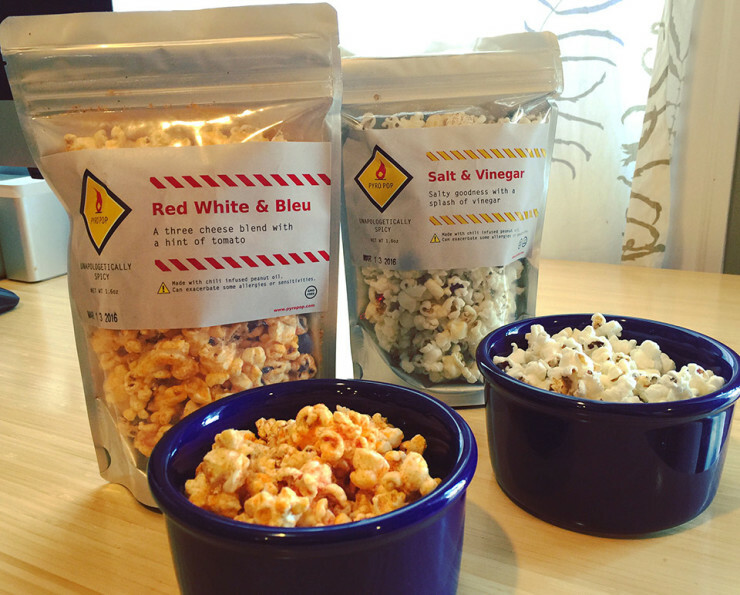 They come in three flavours (Red White and Bleu, Salt & Vinegar, and Cheddar Dill) and cost $5 for a 1.6oz. bag.